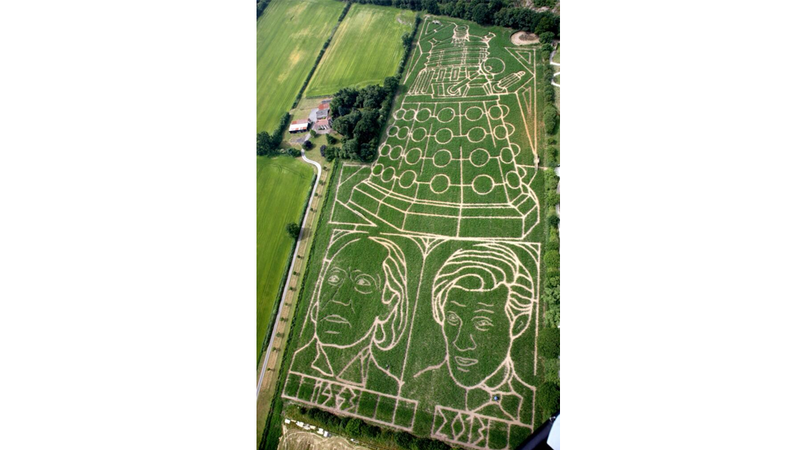 Why yes, that is Matt Smith's face cut into a field in York! And William Hartnell's. And a Dalek. Because... why not? Actually, it's this year's York Maze, which opens to the public tomorrow. For scale reference, that Dalek is apparently 300 meters long. Sheesh!